If You’re Gonna “Do” Social Media, Do It! This past week I went to a Facebook page of a nonprofit organization. I was excited to have the opportunity to engage with people there. However, when I got to the page, it was filled with posts, a few comments, but NO conversation. The organization had posted different links and pieces of information. The few people who had actually commented got no response from the organization. My reaction? What’s the point? Organizations and businesses are being strongly encouraged to join the social media game. Many are. That’s great. But, unless folks are willing to put the time in to learn how to utilize these tools effectively, it really isn’t worth showing up. It is called “social” media for a reason. You gotta be social! That means engaging in conversation. Too many believe social media is just a broadcast medium. But if that is how you are using Twitter or Facebook or some of these other tools, you are missing out. It’s ok to tell followers/friends what you are up to. But that is just a small sliver of what you should be doing. Most of what should be happening on social media is conversational or promoting other people’s stuff. Think of it this way. Imagine walking into a room filled with people. Now stand on a chair with a megaphone and start shouting about yourself. You know exactly how people would respond. They would try to ignore you or give you funny looks. Some might ask you to be quiet or even to leave. The same is true with social media. If you just shout at folks, they will block you, hide your comments, unfollow you or just plain ignore you. And they should. You are not really contributing to the conversation. Because social media isn’t about you. It is about everyone. And when you make it about you, only you, most or all of the time, you miss the whole point. And no one is really going to care what you have to say. So if you have a Facebook page, respond when people post or comment. They will want to comment again if you do. If you are on Twitter, don’t just send out a bunch of tweets about yourself or your organization. Respond to others’ tweets. Retweet what others are tweeting. Engage. It really works. And if you aren’t willing to do that, then just stay home. Heidi, I spent yesterday afternoon doing presentations to a conference for nonprofit groups. I also took part in a roundtable session where we talked about volunteer and donor engagement. During the roundtable, several of the nonprofits talked about their frustration with their fan pages and not knowing how to grow them. And then confessed that they were not conversing with the fans. Much of it they ascribed to overwhelm and confusion. So sad that they are always so overwhelmed. Gotta be someone at every organization that could serve as a resource on the tech stuff. I am sure that is what is overwhelming them. They must know someone in their world that could help. They hear social media is the great savior. That it will do such amazing things. My telephone is cool too. But only if I use it. Just sitting there, it isn’t so cool. Would be wonderful if they would start by responding. And those in the “advanced” class would go out and find other pages to comment upon. Or comment on profiles of those who like their page. Not so complicated. Even easier than conversation in real life. Heidi, well put. I think the problem is a conversation requires ongoing attention, and the organizations that are struggling with social media are treating it as a distraction or a one-off solution. Thanks for the comment Steve. I think you are right. It does take ongoing care. Like a garden, you gotta nurture your network. If you ignore it, it will die. I wonder if it is a symptom of our larger society. We like quick fixes and have very short attention spans. 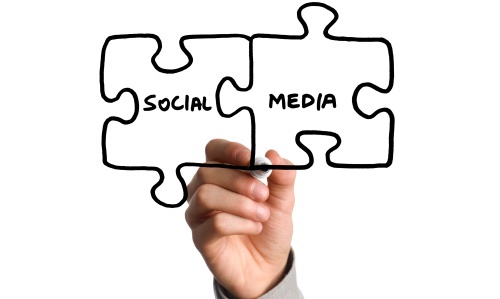 Social media is quick and easy…but not really. It’s just what folks assume when they hear 140 characters. How much work could that be? But it takes some serious effort to grow a meaningful network. And to do so strategically. Those that understand this, will reap the benefits that social media offers. As Allison Fine, co-author of The Networked Nonprofit says, “Social media is a CONTACT SPORT, not a SPECTATOR SPORT”. Agreed fully. When you can’t see the value, monitoring a Facebook page feels like a waste of time. But when you know your goals (cultivating relationships, for example! ), it all falls in line. Often, we spend a ton of time doing this that have little return — we just do them because we always have. Often (not always) social media allows us to do more with less. A boon for small nonprofits especially. So true, Lisa. Allison Fine is a very smart one, for sure. When I first got on Twitter, I had the same reaction most people had. I thought, “This is stupid.” But I kept hearing so many great things about it that I wondered if I might be missing something. So one night, I spent 2.5 hours just exploring, clicking on things, reading, and playing on Twitter. And after all that time, suddenly things just clicked. Twitter made perfect sense to me. Unfortunately, many nonprofits are not spending the time that it takes to learn what social media is all about. They show up but they don’t really understand what to do. So they bumble along, wasting their time. And since they are creatures of habit and hate change of any kind, they feel like they have moved mountains because they have created a Twitter account. (sigh) Hopefully, over time, more and more nonprofits will take the time to learn and will move, for real, into the social media game and take advantage of that boon.